Recital season is upon us! 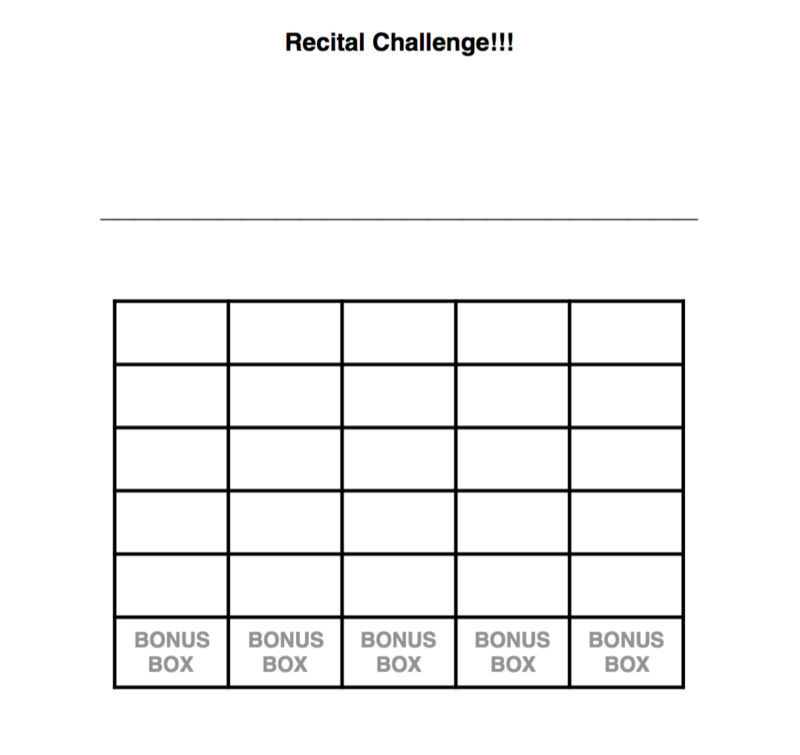 I generally have the students play each piece 25 times two weeks before the recital, by which they earn chocolate (1 piece if they complete 25 boxes, an extra piece if they complete bonus boxes). Since each student generally plays 2 – 5 pieces for the recital, they can really rake in the chocolate! For my last round of recitals, I tried something different, as I found that although playing the pieces 25 times was very helpful, sometimes there were still small mistakes in their performances. 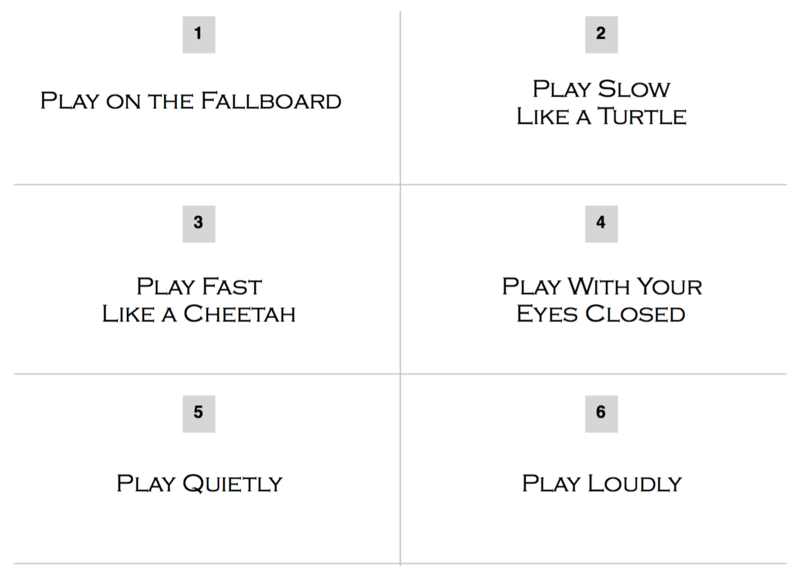 Here is a free download of the 20 Ways to Practice for a Recital, including the list and cards. I hope you enjoy using this with your students! I will also post it under Resources so you can find it in the future.